Scared of visiting the Dentist? We can help! We know that many people feel nervous about going to the dentist. Some people even put off much-needed dental visits because of this anxiety, which puts their oral health at risk. That’s why at Freedom Dental, we try our best to make your experience a positive one. 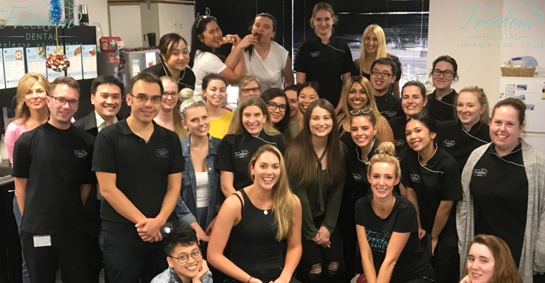 From the moment you step inside our Melbourne dental clinic, you’ll be in a soothing and supportive environment that’s designed to help you feel at ease. Our dentists will take the time to make sure you feel comfortable and in control of your treatments, and we’ll explain all the options we have available to help you relax. If you’ve had a bad dental experience in the past or you suffer from high dental anxiety, the Freedom Dental team could help you smile again. Do you have dental anxiety? Fear of the dentist is a common anxiety that affects as many as one in six Australian adults. Unlike some other fears however, dental anxiety can have a negative impact on your life if it prevents you from visiting your dentist for regular check-ups. These appointments are important for giving your dentist the chance to check your teeth and gums for any signs of problems, which can quickly become more serious if they’re not treated early. Your dentist can also professionally clean and scale your teeth to remove plaque during your visit, reducing the risk of tooth decay and gum disease. While avoiding the dentist may seem like the easy option, this makes it more likely that you’ll need a more serious corrective treatment in the future. Visiting your dentist for your regular check-ups is important for your oral health as well as your overall health and wellbeing. How can Freedom Dental help? We understand that when you’re worried about going to the dentist, even picking up the phone can be difficult. That’s why we’ve made sure our dental clinic is as welcoming as possible. 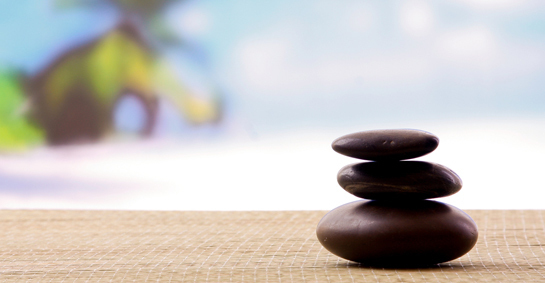 Here are just some of the ways we help nervous patients relax. We like to think of our dental clinic as a day spa where patients can unwind and feel at home. With comfortable seating, soothing music, fragrant candles and a water feature, we’re a far cry from the traditional image of a clinic. We want to know what helps you feel at ease, whether it’s herbal tea, soothing sounds, your favourite music and TV shows or a session in a massage chair. When it’s time for your appointment, plush blankets, eye masks and warm towels are provided and you can choose what you want to watch on the ceiling-mounted TV, whether you’re in the mood for drama, comedy or nature documentaries. If you’re having a number of appointments, you might even make it through a whole series! 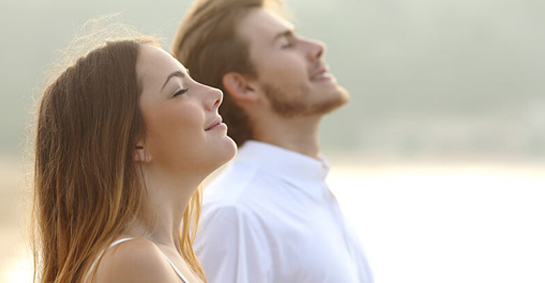 ‘Laughing gas’ or ‘happy gas’ can be provided during your dental treatment to help you feel calm and relaxed. You’ll still be awake and able to respond to your dentist, but you shouldn’t feel any fear. This gas is combined with oxygen and breathed in through a face mask during your treatment. The effects normally wear off as soon as it stops being administered, and you can even drive yourself home after your appointment. As you get used to our clinic over time, and you hopefully start to develop positive associations with dental care, we can reduce the level of laughing gas until you no longer need it to feel calm and happy. 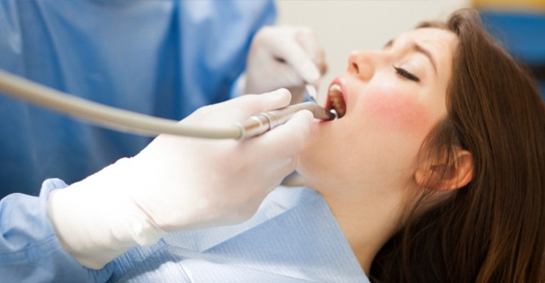 Your dentist will determine if you’re a suitable candidate for laughing gas during your consultation. If you’d prefer not to be conscious during the treatment, we can also offer sleep dentistry using general anaesthesia. This is administered by a registered anaesthetist, who will work alongside your dentist to keep you under constant supervision. 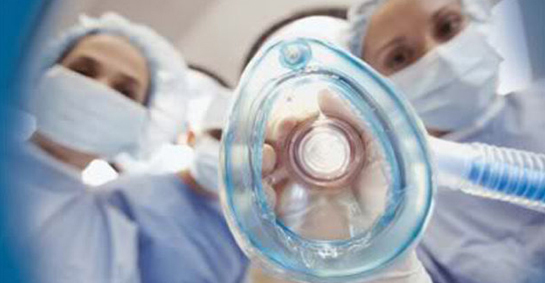 General anaesthetic has a longer recovery period than other sedation options. Some people feel back to normal after just 30 minutes, while others can take a couple of days. However you feel, you should not drive or operate machinery for up to 48 hours. Your dentist will determine if you’re a suitable candidate for sleep dentistry during your consultation. From reception to the treatment room, our friendly team will make sure you feel happy and in control at all times. You’ll be well looked over from the moment you arrive, with a soothing cup of tea provided in the waiting area, and we’ll keep you informed about what’s happening and answer any questions you have. Your dentist will take the time to understand your concerns and requirements so they can plan treatments you’ll be happy with. They’ll also explain the sedation options you can choose from to help your treatment pass in comfort. For many people, it’s the sound of the drill that triggers anxiety. 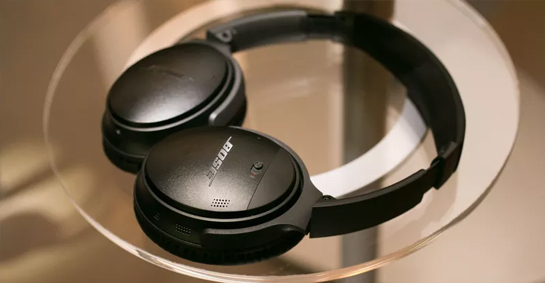 We can provide noise-cancelling headphones to cover up the sound of drills and other equipment with soothing nature sounds or your choice of music, Foxtel, Netflix, DVDs or YouTube videos. You’ll still be fully in control of your treatment even when you can’t hear your dentist, as we’ll arrange a simple signal that you can make any time you want to take a break. IV sedation can also help you to relax while remaining conscious. Sedatives are delivered directly into your bloodstream through a small needle, which gives your dentist more precise control over the level of sedation used. This also means you should feel the effects more quickly. The recovery period for IV sedation is longer than for laughing gas. You should avoid driving or operating machinery for 24 hours after the end of your appointment. Your dentist will advise you to drink plenty of fluids throughout the day to aid your recovery. If you’re worried about pain during your treatment, we can put your mind at ease. 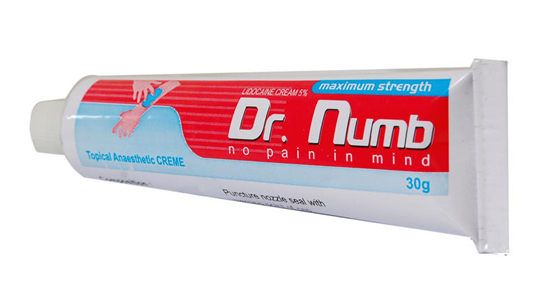 As well as administering local anaesthetic to numb pain signals in the part of your mouth being treated, we can also apply numbing cream so you won’t even feel the anaesthetic injection. 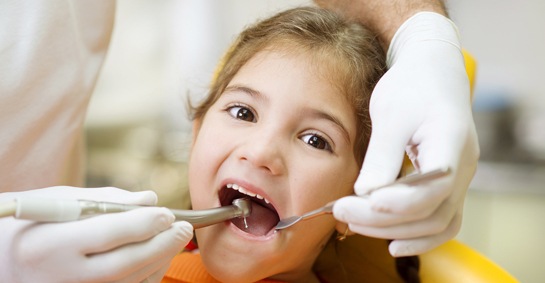 Children are less likely to have dental fear than adults, especially if they’ve always visited the dentist regularly. However, if your child does feel scared during their time at our dental clinic, we’re equipped to help them too. We can provide children’s DVDs, toys and other fun distractions to help turn their routine dental visits into positive experiences they can look forward to. Click here to read about kids dental at Freedom Dental. 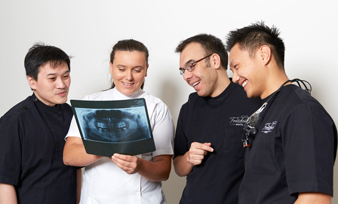 Find out more about our options for nervous patients and anything else you want to know about our dental clinic by coming along to a complimentary information session at Freedom Dental. Click here for terms and conditions. Copyright © 2019 Freedom Dental. All rights reserved.